On January 8th, a small force of Mexican Marines stormed a compound in the coastal city of Los Mochis, Mexico. This operation initiated a chase resulting in the capture of Mexico’s most powerful drug lord, Joaquin Guzman Loera, otherwise known as “El Chapo.” El Chapo had initially evaded authorities by using a labyrinth of escape tunnels built into his residence. Sometime later, El Chapo surfaced in the middle of a busy road and then quickly stole a series of vehicles in an effort to outrun the Marines. Eventually, El Chapo lost ground to his pursuers and was captured on a highway heading out of the city. Mexican authorities quickly detained the drug kingpin in a nearby hotel and then flew him, under heavy guard, to Mexico City. Thus, a six-month-long manhunt had finally ended. El Chapo had been caught…for the third time. Joaquin Guzman Loera came from a poor farming family in Sinaloa, Mexico. At age 15, Guzman’s uncle introduced him to the drug trade, and soon afterward Guzman became heavily involved in drug trafficking between Mexico and the United States. Guzman’s ruthlessness in the drug trade allowed him to rise in the ranks of the Sinaloa cartel. By 1993, he had become the prime target of several rival cartels. After an assassination attempt, El Chapo was arrested in Guatamala and extradited to Mexico to serve a 20-year prison sentence. During El Chapo’s incarceration, the Sinaloa cartel continued to flourish under the leadership of his brother, Arturo Guzman. In January 2001, El Chapo escaped from prison via an elaborate ruse reportedly involving a laundry cart and a large bribe. After his escape, El Chapo evaded Mexican authorities for 13 more years. In February of 2014, Mexican Marines recaptured El Chapo after a successful wiretap operation. Despite heightened security, El Chapo escaped from prison again, this time using an elaborate tunnel system. His second escape from prison proved very embarrassing to Mexico’s government, and his recapture was made a top priority. Despite the fact that he is once again in the hands of Mexican authorities, El Chapo’s future remains uncertain. The Mexican government is determined to prevent another escape. Several sources indicate that authorities move El Chapo randomly to different cells within the prison in order to hinder any sort of getaway. Additionally, several tanks stand watch at the entrance to the prison, and a group of elite guards provide 24-hour control over El Chapo. 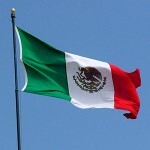 Despite the heightened securities, authorities in Mexico still worry that an escape attempt is imminent and are working closely with American officials to extradite El Chapo to the U.S. One security analyst summarized El Chapo’s current situation as a “…race between extradition and escape.” Hopefully, extradition will win the race. The IMG Group is a leading international security consulting firm with considerable experience in executive travel security and crisis management consulting. Corporate or business organizations concerned about their need for global security expertise can reach out to the IMG Group for assistance. The company’s expert security consultants provide services such as employee travel security, VIP and executive protection, forensic psychology consulting, workplace violence consulting, international meeting security, technical surveillance countermeasures, and more.